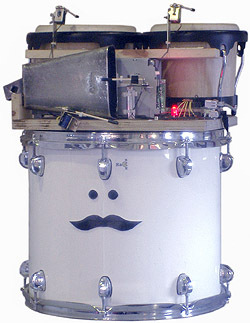 It plays the drums when people tweet certain words! 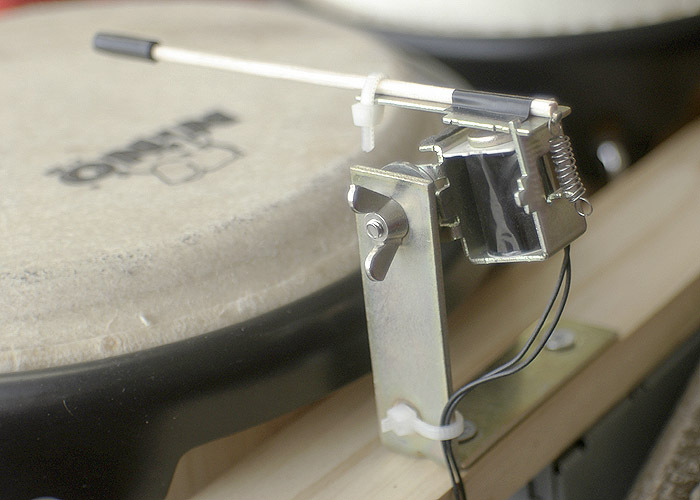 It's powered by an Arduino Diecimila with an Adafruit Ethernet shield. 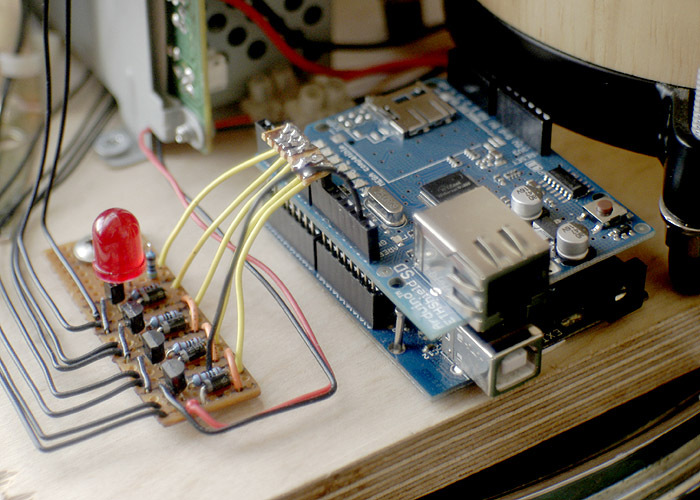 The Arduino reads an online PHP script every five seconds. The PHP script uses the Twitter search API to search Twitter for the desired word(s), and finds the latest matching tweet. It determines if this tweet has been found previously, or if it's new. The result is sent back to the Arduino. An LED flashes every time a successful connection is made. 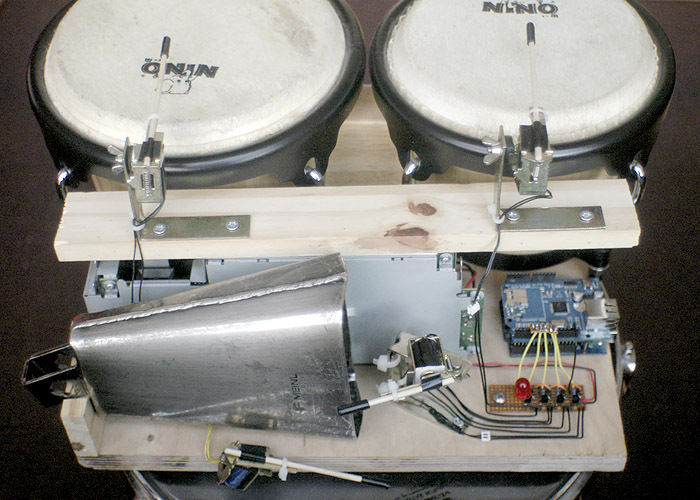 If the tweet is new, the Arduino plays four bars of samba-style rhythms. At the start of each bar, each instrument chooses randomly from a set of pre-written patterns, so there are many possible combinations. 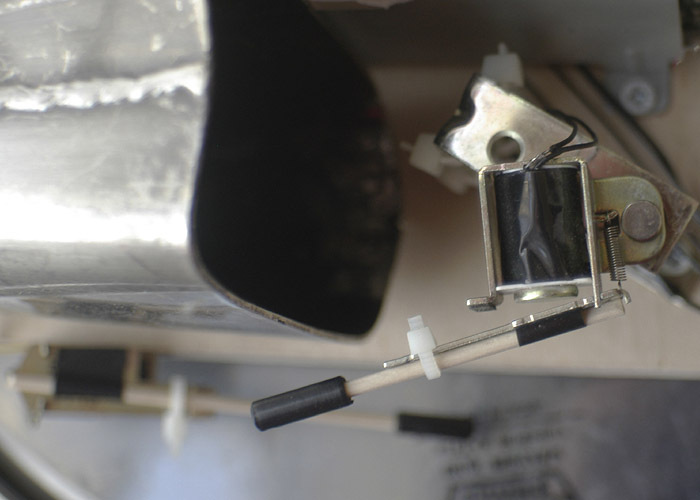 The instruments are struck by 'drumsticks' attached to solenoids, originally from HP laser printers. 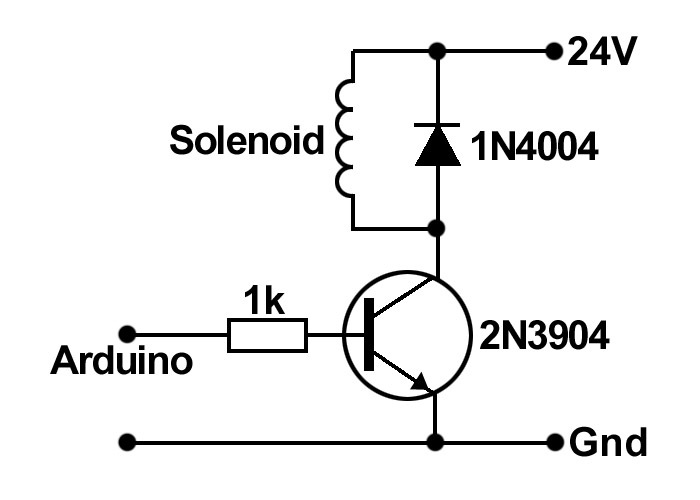 The solenoids are driven through a transistor interface (see diagram below), and are powered by a 24v power supply from a Canon printer.